Brave. Courage. Nashville. Dream. Inspiration. Bible. Travel. Choices. I am relocating 3000 miles away from where I have lived for, oh….my whole life of 57 years. East coast girl going west! NY to LA. I have people telling me I am so brave…blah blah blah. I don’t feel brave. 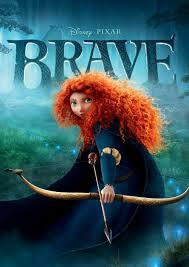 I don’t think Brave is even a feeling. To me, it is a CHOICE. Kind of like, jumping out of a plane. Yup, definitely feels like that. Again, remember I am NO spring chicken. A young person who is all of 18 packs his duffle bag, grabs his guitar, a roll of quarters and with hopes and dreams, moves to Nashville. Just a feeling? No. A choice. David the shepherd boy probably didn’t FEEL brave when he looked up at Goliath ( you know, the GIANT). He surely felt very small. (literally) BUT he CHOSE to be brave; to be the ONLY one who would face the giant. He CHOSE to put himself in harms way. He CHOSE to take a risk. (again, key word GIANT. I have visuals of he could have stepped on poor little David). Maybe you want to write a book, go be a singer in Nashville, become a great artist, travel the world, save the dolphin, be a missionary to parts unknown, or just be the best server at Wendys, whatever you choose to do, choose to be BRAVE. Tagged Brave. Courage. Nashville. Dream. Inspiration. Bible. Travel. Choices.